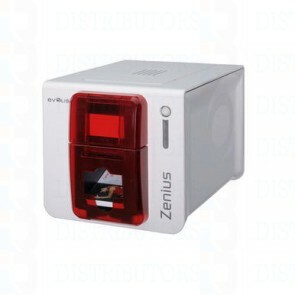 The Evolis Zenius is the new standard for user friendly entry-level single-sided card printers. The Zenius comes standard with the Evolis Premium Suite® software which allows the user to configure and monitor the printer directly from their PC interface. Replacing consumables in the Evolis Zenius is effortless due to its accessible front loading input and output trays. The location of the card input tray coupled with the Zenius compact foot print makes this printer ideal for small office environments, membership cards and student ID cards. 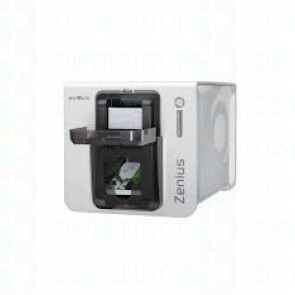 The Evolis Zenius is available in to different series, the “classic Line” and the expert line. The Zenius expert line was developed for low volume applications that require higher levels of security and functionality with a wide range of contact and contactless encoding modules.